Richard Johnson is one of the five remaining classical guitarists trained by the Spanish virtuoso Andres Segovia Torres (1893-1987). He resides in Kansas City where he came to Paul Finney for acupuncture to regain complete control of one of his fingers. He regained control of the finger on the first acupuncture treatment and continues to come to get the finger stronger. Segovia, quoting Wikipedia, was a classical guitarist from Linares, Spain. He is the father of modern classical guitar and has been regarded as one of the greatest guitarists of all time. Practically all professional classical guitarists today are students of Segovia, or students of his students. Segovia’s contribution to the modern-romantic repertoire not only included commissions but also his own transcriptions of classical or baroque works. He is remembered for his expressive performances: his wide palette of tone, and his distinctive musical personality, phrasing and style. Segovia was sent at a very young age to live with his uncle Eduardo and his wife Maria. Eduardo arranged for Segovia’s first music lessons with a violin teacher after recognizing that Segovia had an aptitude for music. This proved to be an unhappy introduction to music for the young Segovia because of the teacher’s strict methods, and Eduardo stopped the lessons. His uncle decided to move to Granada to allow Segovia to obtain a better education; after arriving in Granada Segovia recommenced his musical studies. Segovia was aware of flamenco during his formative years as a musician but stated that he “did not have a taste” for the form and chose instead the works of Sor, Tárrega and other classical composers. Tárrega agreed to give the self-taught Segovia some lessons but died before they could meet and Segovia states that his early musical education involved the “double function of professor and pupil in the same body”. Richard Johnson is a seasoned performer who has appeared as soloist with many orchestras throughout the country. He began his studies with great impresario and teacher Walter A. Fritschy. He was one of the select students to perform at the famous class of 1965, in Santiago de Compostela, Spain with Andres Segovia. He then studied for three years with Oscar Ghiglia in Paris. 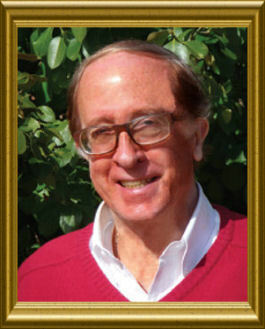 He has taught in both the San Francisco and Kansas City Conservatories. His own students include Ray Reussner and Charles King. Johnson, Fritschy, and Joe Cozad are the original founders of the Kansas City Guitar Society. He currently maintains a residence in Kansas City, but has strong ties to Wichita, Kansas. He has long performed in its night scene, as a soloist and as the leader of various ensembles. He has been a long standing member and supporter of the Wichita Guitar Society. He has been closely associated with Irma Wassall since early days as the Wichita Society of the Classical Guitar. Johnson now focuses his energy on composing and arranging music for the Jazz & Latin mediums. His performance with Monte Muza featured a sophisticated blend of original compositions and arrangements on steel and nylon strings. It was one of the highlights of its 2004 Jazz Matinée series. He is very pleased to be currently working with bassist Roberto Bernardinello.